Paul Battram, founder, and lead performer of Circus Cascadia has been teaching circus and puppetry for twenty years. Originally from London, Paul started his clowning career with the famous Professor Panic of Panic Circus. From a roustabout to a workshopper to a lowely clown It was an incredible opportunity to train with the Panic family. Studied mime with Tony Carrera The Panic Clowns' high energy, thought provoking performances entertained thousands in cities all over the U.K. Paul also founded The Pulcinelli’s, a clown troupe performing shows focused on environmental awareness and sustainability. Perhaps most impressive is Paul’s ability to work with at-risk students. Paul’s spectacular abilities as an arts educator allow these children to achieve unbelievable results. He expects the best of his students, and so, that is what they give him. Since arriving in the U.S., Paul has built Circus Cascadia from the ground up. In the last 13 years Circus Cascadia has led workshops, after school enrichment programs, summer camps and a wide variety of free events throughout the Portland Metro Area. Paul's vision has led Circus Cascadia to be the only 21st century Tenting Circus in Oregon . Thousands of young people have been through the ring of Circus Cascadia performing in their very own show! It has been a privilege to present them! Sylvia is origionally from San Fransisco. Sylvia joined Circus Cascadia in 2011 as a teaching artist and performed in that summer tour. Sylvia has taught in our afterschool program and at our Summer camps. Her background is in the theatre though she was always destined to be run away with the circus. Sylvia studied at Lewis and Clark College in Portland and has a Bachelors degree in Theatre and a Masters degree in Education. Sylvia spent summer 2012 with Panic Circus in the U.K.
Sylvia has been a force of nature helping us to change into a non profit and moving ito a more sustainable future. ​Bill Hewitt joined Circus Cascadia in 2007. He is the longest serving crew member coming up on 10 yrs. Uncle Bill is from Kentucky. Bill has an eclectic background , his U.S. Navy experience helps him to stay calm in all circumstances. 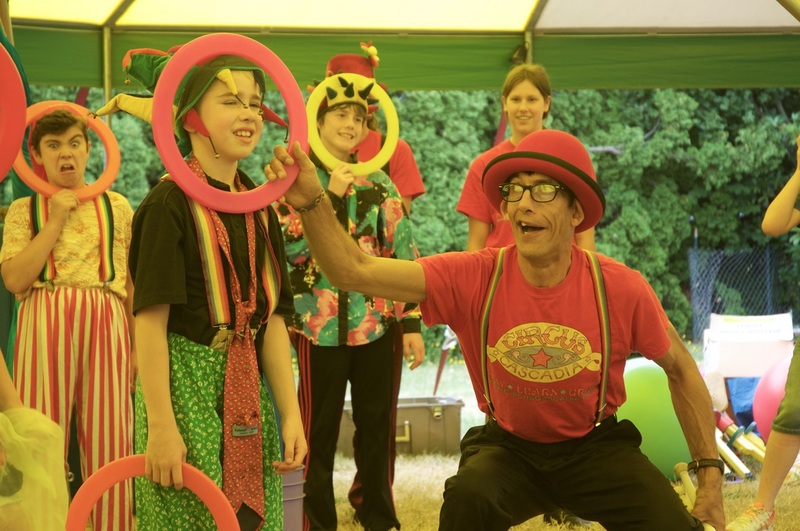 Bill is an expert teacher and advocate of Circus, sharing the positivity it brings to our lives with young and old alike. 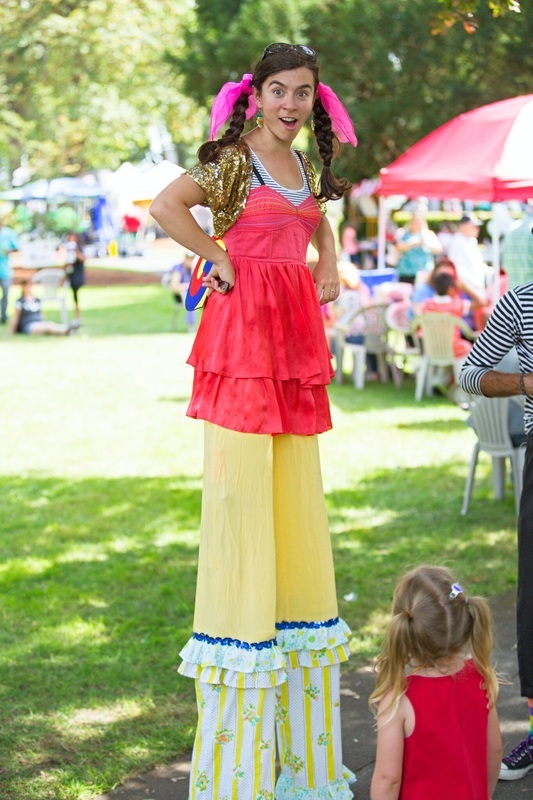 You may have seen him on stilts or balancing brooms! Jacob Illk joined Circus Cascadia in 2015. Jacob's infectious smile and enthusiasm for Juggling made him a natural fit for Circus Cascadia. Jacob is a talented juggler and a positive joyful influence on our students, sharing his skills and inspiring us with his diligence to improving his craft. Jacob has guest starred in our shows during the past two seasons and wowed the crowds with his command of the chaos that is Juggling. Jacob is one of our regular teachers in our Circus In Schools after school program and has taught for three years at Woodstock Elelmentary in Portland OR. Natalie joined Circus Cascadia in 2015.
and got to grips with festival circus camp, teaching stilts and helping to produce an amazing kids show. Natalie is a multi talented maker and and artist and gentle teacher. Natalie helped to crew the summer camps in 2017 and 2018. 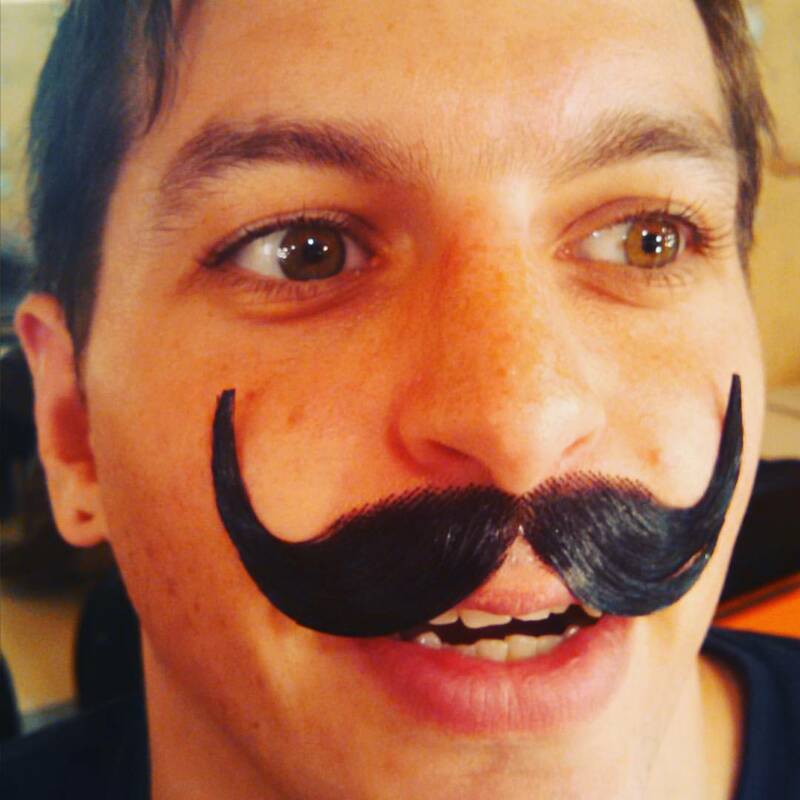 Stefano Iaboni is an international actor, comedian, performer, teacher and producer. He was raised in Rome, Italy, and found his way to a circus school in Holland in his early 20s. Not happy with the freezing cold weather, the food or the school itself, he took off for Barcelona where his career took a turn. Feeling an inclination to move away from the traditional circus arts, he became inspired by the “physical comedy” movement through his work with master such as Johnny Melville, Christian Atanasiu, Loco Brusca , Jango Edwards, Leo Bassi, Jef Johnson and Sergi Estebanel. He spent the next 10 years in Barcelona working for theatre companies, acting in movies and commercials, participating in theatre festivals around the world and starting his own sketch comedy variety show. Stefano has been performing in more the 15 countries. He studied Stage Theater and film acting as well as taught workshops at the “Nouveau Clown Institute-Barcelona”. He currently lives in Portland with his wife, Deanna and their 2 daughters. He offers physical comedy and laughter therapy workshops and team-building in Portland in between touring the globe performing with his duo "The Beat Brothers” and his solo show “S.P.A.M.”. Stefano also produces a variety show called “Follies: The Unofficially Best Ever Variety Show” which runs every first Sunday of the month at Funhouse Lounge in Portland, Oregon. Born and raised in New York, David was touched by the magic of the circus as a child when he was fortunate enough to see the world renowned Big Apple Circus. As he grew up and his life brought him into the world of experimental theater, he found himself re-enamoured with the circus. Since then, he has performed and taught across the country, has been featured in some of the most respected object manipulation showcases. He has sought out training in Clown and Acrobatics with some of the biggest names in those fields, and is recognized as one of the most innovative and technical Fire Spinners in the world. David co-authored the Vulcan Tech Gospel, a seminal work in the field of object manipulation. He has performed as a member of the Vulcan Crew fire spinning and object manipulation troupe, with Circus Momentus, and as a solo performer. He has created duets with a number of legends in the fire spinning world, including Corey White and Noel Yee. David graduated from the Clown Conservatory class of 2009, and has studied clown from Jeff Raz(Cirque Du Soleil) John Gilkey (Cirque Du Soleil), Jonas Woolverton (Cirque Du Soleil), Dan Griffiths (Big Apple Circus) and Ronlin Forman (D’el Arte). He has also studied acrobatics under Master Lu Yi (Former Commissioner of Acrobatics, China), Xia Ke Min (Nanjing Acrobatic Troupe) and Xiao Hong Weng(Nanjing Acrobatic Troupe).